Resizing your JPEG files can be useful if you need to send a bunch of pictures in an email or upload them to a website. 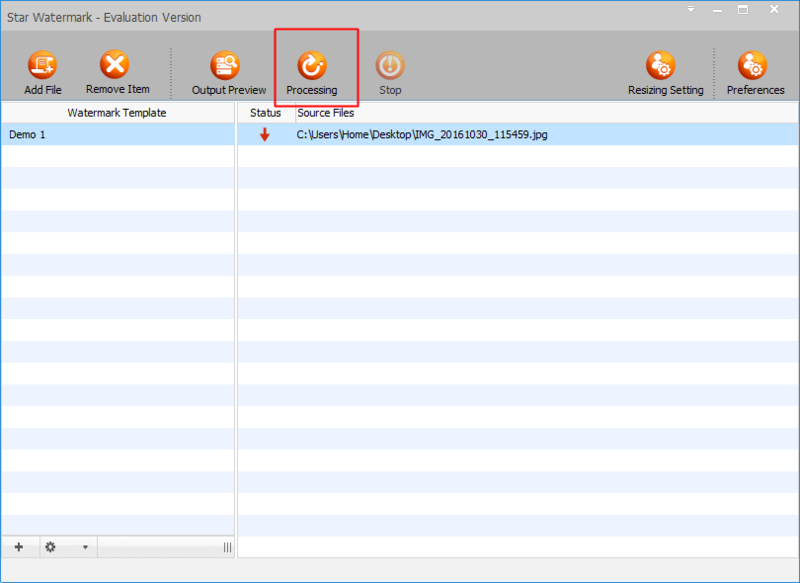 This article will show you how to resize pictures with desired dimension and max file size limitations. Use star watermark program, you can resize images to fit the file size limitations of email or other online services. 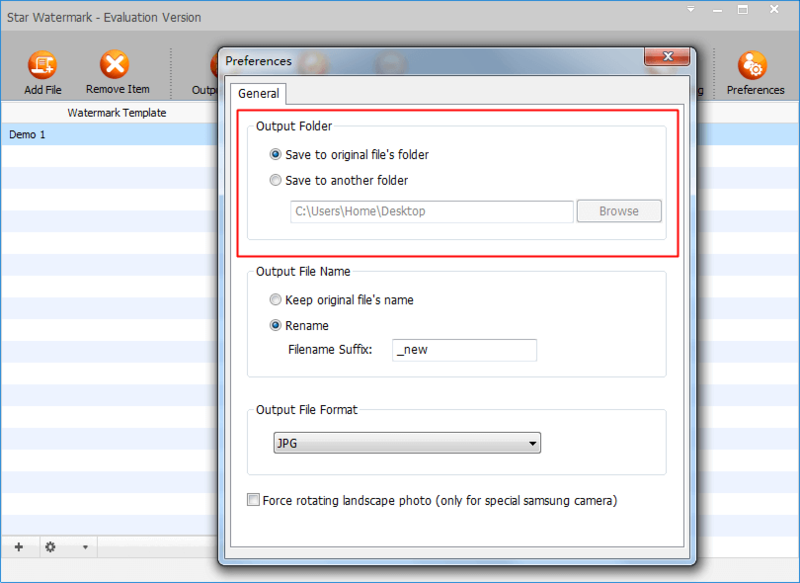 And you can resize batch images at once by this program freely. Select photos you want to resize. Set your desired max file size and dimensions. Click “Process” to compress your photos. Open output folder and check the final jpg files size. Download latest version from here if you have not install the program. Choose the photo you want to resize. Click "Add File" button to browse the photos on your PC, find the photo you want to resize and click it to select, then click OK button to load it. If you want to select more than one photo, please hold key “CTRL” on your keyboard, then click each photo to select them. Or if you want to resize the entire images, select the whole thing by pressing Ctrl + A. 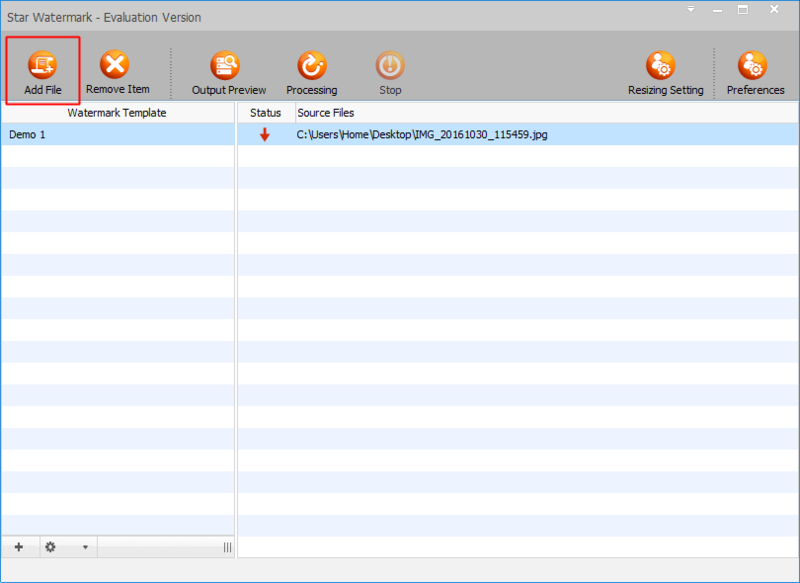 Set max file size limitations for the images. 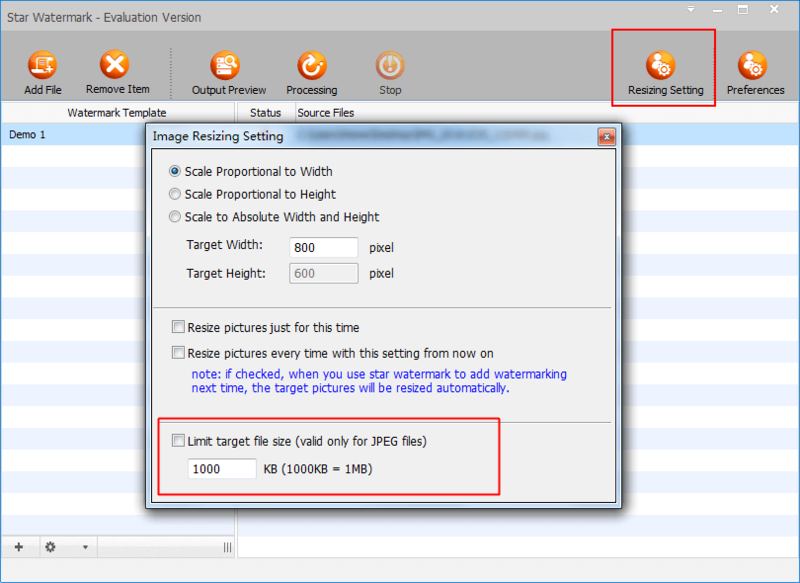 Click “Resizing setting” button to open resizing window to adjust the image size. You may also be able to enter the exact dimensions you want the resized image to be. * Making an image larger than the original will result in a noticeably lower quality picture. * By default, star watermark will maintain the original aspect ratio, and entering a value in width or height field will automatically change the value in the other. This keeps the image from stretching or squishing during the resize. You can choose option “Scale to Absolute Width and Height” if you want to be able to define both width and then heightened independently. Click “Processing” to resize your images. Once you click “Processing”, it will resize your image according to the values you entered. Open output folder and check out the new jpg file size. You can find out the resized image directory from “Preferences” window, by default, the final image file is named with your original file name by suffix _new. Because the major feature of star watermark program is adding text or image watermark to photos, if you just want to resize photo files, not add a watermark to photos, please open “Edit Watermark Template” window by a double-click on one watermark template like “Demo 1”, then delete watermark text. 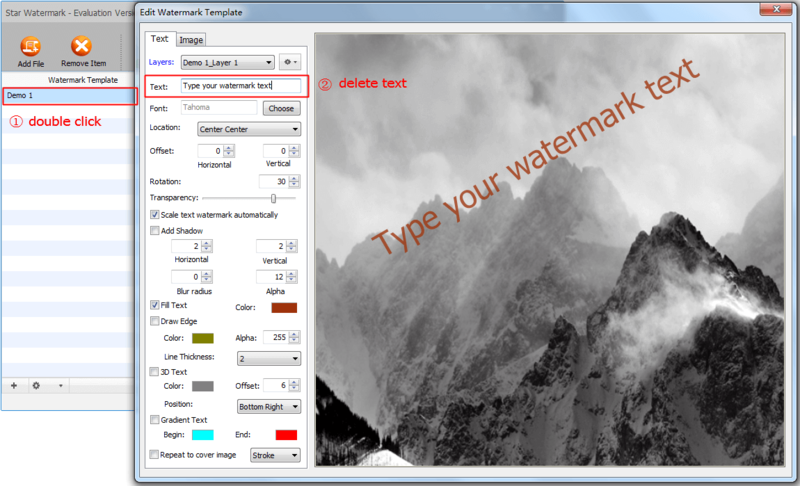 How to Embed a Watermark in Pictures and PDF documents.